Church Street at Chalmers Street. 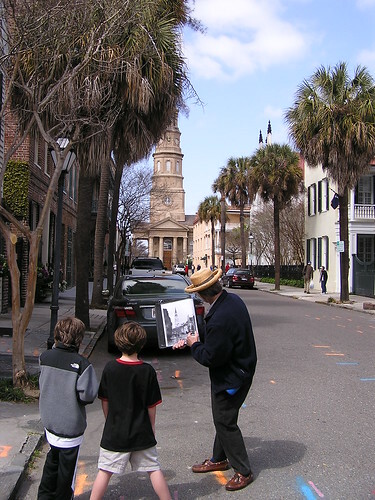 Jack Thompson begins his Civil War tour for third graders, Seth and Isaac, by illustrating what Church Street looked like then and now. Charleston, SC. Photo taken March 2010. Photo and text posted: 13 April 2010.